This study proposes a non-contact measurement method for evaluating a micro cutting tool diameter at a sub-micrometer precision in atmospheric environment. Practically, non-contact tool measurements are widely used in optical measurement methods. However, the generally used geometrical optical measurement methods do fundamentally not have sub-micrometer precision due to well-known light diffraction phenomenon, notably when measuring a micro tool. We have been proposing and developing a measurement method especially for the micro tool utilizing laser diffraction. In this study, we subtracted a transparent light component from a laser light distribution diffracted by the micro tool to be measured to enhance diffraction pattern characteristics. Consequently, micro rods having diameters of 15, 20, and 30 μm could be precisely measured. Furthermore, in order to verify the method validity, a two-helical-fluted micro tool (20 micrometer in diameter) was also measured while rotating (4 min-1) with less than 400 nm difference compared to images from a scanning electron microscopy (SEM) image. 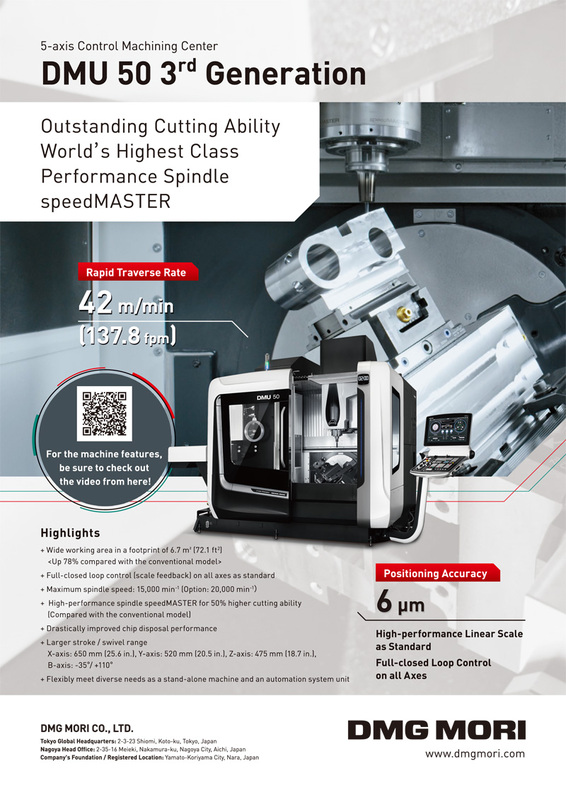 Finally, a trial to measure a micro drill diameter was also carried out during high-speed tool rotation (136,800 min-1) with our developed apparatus that is enough compact to be installed to machine tools, in order to perform the measurement in real rotation without stopping the tool rotation. P. Khajornrungruang, K. Kimura, K. Suzuki, and T. Inoue, “Micro Tool Diameter Monitoring by Means of Laser Diffraction for On-Machine Measurement,” Int. J. Automation Technol., Vol.11, No.5, pp. 736-741, 2017. T. Pfeifer and L. Weigers, “Reliable Tool Wear Monitoring by Optimized Image and Illumination Control in Machine Vision,” Measurement, Vol.28, pp. 209-218, 2000. H. S. Lim, S. M. Son, Y. S. Wong, and M. Rhaman, “Development and Evaluation of an On-Machine Optical Measurement Device,” Int. J. of Machine Tools & Manufacture, Vol.47, pp. 1556-1562, 2007. P. Khajornrungruang, T. Miyoshi, Y. Takaya, S. Takahashi, T. Harada, and S. Isago, “Novel edge profile measurement of micro cutting tool by laser diffraction,” Proc. euspen international Topical Conf. on Precision Engineering, Micro Technology, Measurement Techniques and Equipment, pp. 463-466, 2003. P. Khajornrungruang, K. Kimura, Y. Takaya, and K. Suzuki, “High Precision Tool Cutting Edge Monitoring using Laser Diffraction for On-Machine Measurement,” Int. J. of Automation Technology, Vol.6, No.2, pp. 163-167, 2012. S. H. Jang, Y. Shimizu, S. Ito, and W. Gao, “Development of and optical probe for evaluation of tool edge geometry,” Bulleting of the JSME J. of Advanced Mechanical Design, Systems, and Manufacturing, Vol.8, No.4, pp. 1-10, 2014. K. Maruno, M. Michihata, Y. Mizunatni, and Y. Takaya, “Fundamental Study on Novel On-Machine Measurement Method of a Cutting Tool Edge Profile with a Fluorescent Confocal Microscopy,” Int. J. of Automation Technology, Vol.10, No.1, pp. 106-113, 2016. P. Khajornrungruang, K. Kimura, T. Miyoshi, and Y. Takaya, “Micro Endmill Cutting-Edge Profile Measurement for On-Machine Monitoring using Laser Diffraction,” JSPE Spring Congress 2006, pp. 1103-1104, 2006 (in Japanese). E. Hecht, “Optics, 4th Ed.,” Addison Wesley, 2001. J. C. Martinez-Anton, I. Serroukh, and E. Bernabeu, “Wire Diameter Determination by Interferometry and Diffraction: the Improvement of Diffraction Models in 3D objects,” Proc. SPIE No.3754, Interferometry ’99, pp. 264-272, 1999. J. B. Keller, “Geometrical Theory of Diffraction,” J. Opt. Soc. Am., Vol.52, No.2, pp. 116-130, 1962.